East Silent Resort is located down a quiet country road in Minnesota’s Otter Tail County “lakes” area near Detroit Lakes, MN. Our family lake resort is located on 40 peaceful acres of northwoods where your vacation begins when you turn onto our driveway and are greeted by a canopy of maples, oaks and birch. The woods open upon neat, well-built cabins nestled next to the shore of clear, sparkling East Silent Lake. 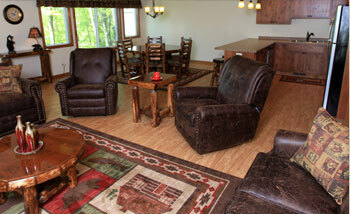 Our newly remodeled lodge has a snack bar and gift shop. Each cabin includes amenities such as a full kitchen and bath, grill and patio furniture. View our full list of equipment rentals.